Modern, Open Floorplans. Quartz Countertops Throughout. Easy Access to Seattle, I-5, SR-99 and I-405. 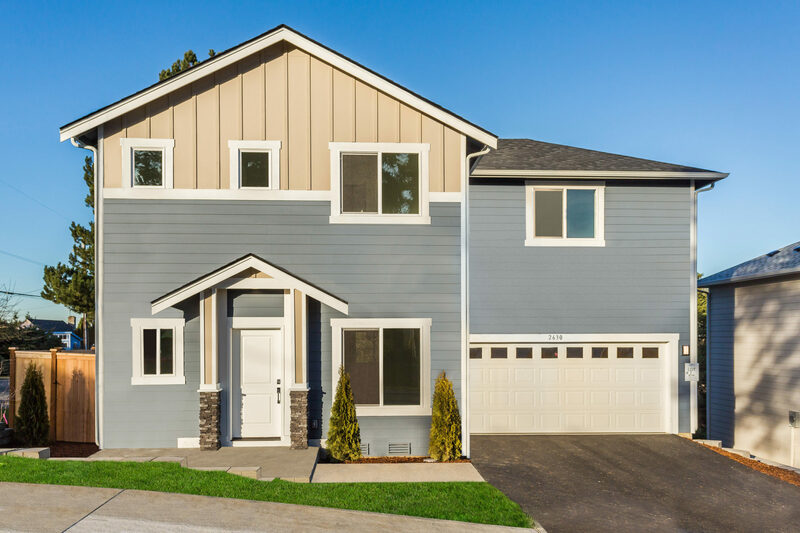 Boulevard Heights is 33 new construction, single-family detached homes located in the Boulevard Park neighborhood of Burien. These new houses will be between 1,596 to 2,315 square feet with 4 modern floorplans to choose from. Most floorplans have 4 bedrooms and 2.5 bathrooms. The “C” floorplan has a 5th bedroom/den on the main floor. Amenities include quartz countertops throughout, gas fireplace and range, laminate hardwood floors, open concept main floorplans and 1/2 bath on main. Our homes at this community feature energy-efficient heating systems, LED lights, sound-resistant windows, and Cascade and Valley views. This community is close to Boulevard Park Shopping Center, Hilltop Park and fun activities like the Museum of Flight and Kubota Garden. Easy access to Seattle, SR-99, I-5 and I-405.